As the UK’s leading manufacturer and supplier of storage tanks, we pride ourselves on our extensive range of tanks to suit a broad variety of functions, purposes and requirements. There are endless possibilities when it comes to the types of fuel, oil and chemicals that can be stored in our tanks; including petrol, diesel, biofuel, lubricants and even pesticides. Whether you are looking for single skin, bunded fuel tanks, tanks with fire protection, bulk water storage, food storage, chemical storage and more, our in-house production team have over three decades of experience to ensure that you get the right tank for your needs. When it comes to oil storage tanks, we supply both plastic and steel versions in a wide variety of sizes, ranging from 1,350 through to 15,000 litres with the possibility of combining tanks to create storage capacities up to 100,000 litres. All of our tanks have a range of features to make usability as easy as possible; with vents, connection points, outlets and even valves to prevent overspill. Alongside this, we also provide bunded options for those looking for a little extra security and protection against spillages – saving wastage, money and also the environment in the process. Thanks to their versatility, our range of storage tanks are ideal for use across agriculture and farming, industrial and commercial use as well as in the domestic setting. This is perfect for those families that are looking to be self-sufficient and off the grid when it comes to heating their homes or making use of rainwater. 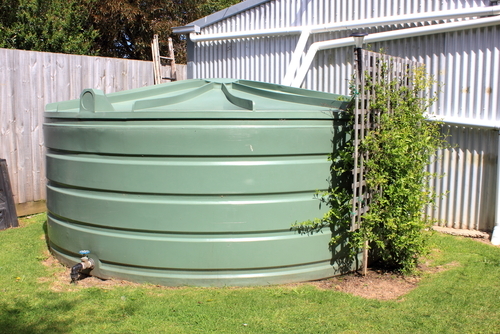 Our tanks can be stored above ground, but we also supply tanks that are suitable for use below ground. Storing your tanks below ground ensures that the contents contained within are safe from potential thieves, protected from the elements and are kept at the correct temperature to prevent degradation and loss of quality. Some legal requirements and regulations apply to many liquids that necessitate vast storage tanks, and all of our products adhere to relevant guidelines and legislation to safeguard your business and property where necessary. If you are looking for a specific storage tank, please visit our website for more information or contact our customer service team on 01889 567700 who will be more than happy to assist you with your enquiry.